Another original from the talented Ben Garrison. Keep up the good work Ben! It has been 100 years since the Federal Reserve came into being. It started as a conspiracy. It has ended up creating impossible debt for the American people while tremendous wealth and power was transferred to the banks who own it. 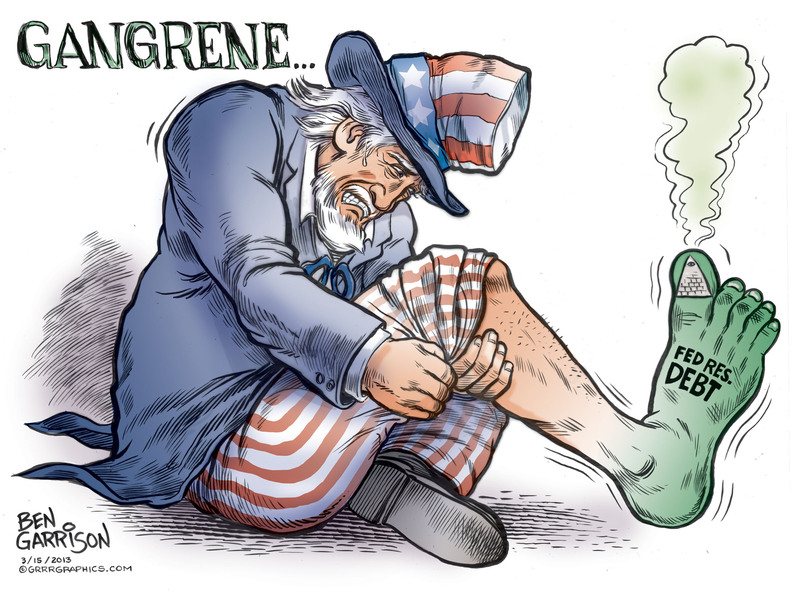 Congress relinquished its responsibility to the private Federal Reserve (which is neither Federal nor a Reserve) ostensibly to lessen the boom and bust cycles in the economy. Instead, it has pushed and funded endless war (profitable for them), the boom of the Roaring ’20s, the bust of the Great Depression and currently the largest, longest ‘recession’ our country has known.